While perhaps well-meaning, trust between doctors and patients, arising from the threat of release of that information, has been destroyed. Below is the exact quote from the GMC, “Confidentiality: reporting concerns about patients to the DVLA or the DVA” [accessed 25 April 2016]. Personal information may, therefore, be disclosed in the public interest, without patients’ consent, and in exceptional cases where patients have withheld consent, if the benefits to an individual or to society of the disclosure outweigh both the public and the patient’s interest in keeping the information confidential. While, NHS sleep studies would be the normal route, sadly due to their resource limitations, they are not usually able to diagnose and treat patients as quickly as we all would like. Why some people do not consult their GP about their sleepiness at work. These concerns may be especially true for those employed in ‘vigilance critical’ roles (truck, taxi, bus drivers, pilots etc) as they may be advised to stop work immediately and cannot resume until effectively treated. Ethical Guidance from the General Medical Council and also see page 8 of the PDF ‘Assessing Fitness to Drive’ produced by the DVLA. What are the fundamental differences between anonymous and confidential sleep study testing? Terms such as privacy, confidentiality and anonymity are often mixed up. Anonymous NO NAMES are used or any other personal identifiable data. Your sleep study test results are stored separately from personal identifiable data and nobody - not even snorer.com or the consultant that confirms the diagnosis knows who the report belongs to. Confidential Sleep study test results are associated with key personal identifiable data e.g. name, address, DoB, postcode and other identifiers. (even though they sound like they should provide the same level of privacy and security). Why is ANONYMOUS testing needed? With a confidential sleep test your results are associated with key personal identifiable data e.g. Your name is on the report… and it connects your condition/diagnosis with you. These are the facts behind the fear of consulting a GP about excessive sleepiness. ANONYMOUS sleep apnoea testing overcomes these barriers. ASAP℠ means that your name is never associated with your report, and you are the only person who knows what your results are. We don’t know what your results are and the Doctor assessing your data doesn’t know who you are. This process does not involve your own Doctor/PCP. 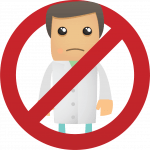 No ‘Scientific Research’ exemption is used to waive your anonymity. We provide anonymous sleep apnoea testing (and an accelerated route to NHS treatment), simply to provide a way to test for sleep apnoea and get treated rapidly. We do this because we recognise that some people will not come forward for help the ‘traditional’ way (see above). ASAP Anonymous Sleep Apnoea Process(tm) provides an alternative way to test and be diagnosed without the use of subterfuge, obtain any necessary treatment via the NHS and get back to work rapidly. We have adapted the system to ‘meet people halfway’ rather than continuing to insist they conform with the system (which we recognise they don’t). if you don’t have an Anonymous sleep study? Who has your test data? Your GP must now inform the DVLA if they believe you will continue to drive. Even if you do not consent for them to do so. The Consultant who assessed your data has your name and diagnosis. The Police. If you are involved in an accident* can obtain your name, address, DoB, medical history and diagnosis. The DVLA. If your diagnosis affects your ability to drive you are legally obliged to inform the DVLA. If you are a vocational driver the rules are tougher still about when you must stop. Your insurer. If your diagnosis affects your ability to drive you must also inform your insurer. Your employer. If you drive, fly or operate machinery as part of your employment and your diagnosis affects your ability to do these things, you are legally obliged to inform your employer. * Case-control studies starting with patients having accidents (n = 102) rather than OSA suggested that those with OSA were 4–7 times more likely than control subjects (n = 152) to have had an accident, despite controlling for some potential confounders. Created by Emma Easton | Page last updated 6th Oct 2018 | ASAP™ is CE marked standalone, software as a medical device (SaMD).